An OBD (On Board Diagnostic) scanner plugs into your car and reads the codes stored in the memory. You’ll want an OBD2 (also called OBD-II) scanner when the dreaded Check Engine light comes on. To find out what is troubling your car, your options are: take your car to the dealer (some charge $65 just to read the codes), the local garage (usually free, but you may wait 20 minutes), the auto-parts store (free, not always convenient location, wait for 20 minutes) or buy your own cheap ODB2 scanner for under $50. Every household should have one of these! 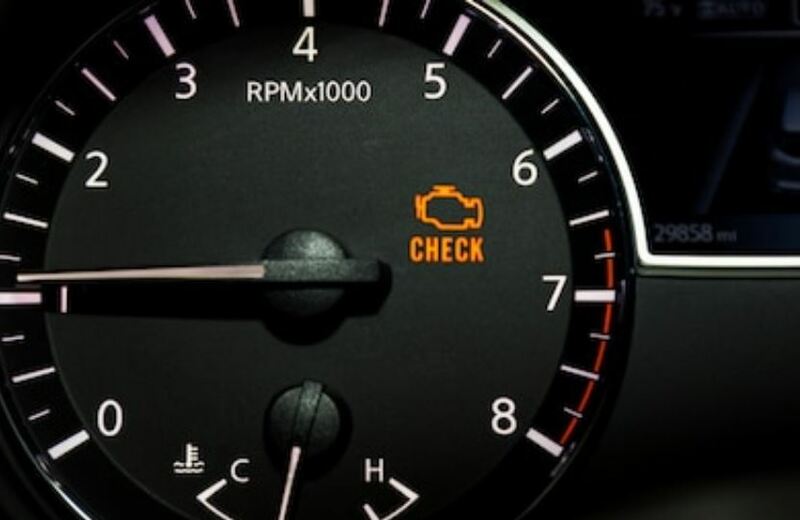 There are a couple of terms for the same thing, depending on the vehicle and region: Malfunction Indicator Light (MIL), Service Engine Soon (SES) and Check Engine Light (CEL). As mentioned above, it can be costly, time consuming or both to figure out what is going on with your vehicle when you get an indicator light. And many of us are concerned about overpaying when going to a dealer or service station. For example, one common reason you may get an indicator light is if your gas cap isn’t on tight enough or it has a crack (this was a problem with my older car – and easily fixed for a couple $$). Your vehicle may thing there is an issue with the the emission systems, and the indicator light comes on. But you may not know to check that if you don’t have a scanner. Another recent issue I had was my engine running rough. With the real-time diagnostics, the scanner told me I had a miss-fire on on cylinder. I replaced that spark plug and the engine was running smooth again. How much do you think either of those would have cost if the car had gone to a dealer or service station? And what about the SMOG / emissions tests you need to pass in order to register or sell your vehicle in many states? Using an OBD2 scanner will let you know ahead of time if you’ll be able to pass the test, and what you need to have repaired before you go to a testing center. Lastly, you can use a scanner when looking at buying a used vehicle. It’s amazing how much information you can get in just a few minutes! And since it’s a non-invasive diagnostic tool, no reputable seller should say “no” when you ask to plug in for a quick scan to check for any issues. Just think how much that can save you! Basically, scanners give you better insight into what is going on with your vehicle. Any data that your vehicle is electronically generating can be read by the scanner, if it’s set up for it. Much like the USB port on your computer, there is an OBD2 port in your vehicle. The connector size and the pin-out are the same for all cars, regardless of the manufacturer. The specification is standardized by SAE standard J1962. You can typically find this under the dashboard, somewhere around the drivers knees or on the inner left foot-well. These have a latching cover that you can easily flip open. Most handheld consumer OBD2 scanners will need to have the engine running in order to do a complete scan. But there are some, especially higher end modules, which can read the stored codes just by plugging into the port. With the engine running, you can get a full list of diagnostics and even real-time running information (RPM, engine temperature, oil pressure, etc). When your vehicle gets a “fault” for anything, the code is stored in non-volatile memory in it’s computer module. Most faults are self-correcting, meaning they remain in memory until the problem is fixed. These are also referred to as “pending” codes. Even after the issue is resolved / repaired, you can see the code as part of the history. The scanner will also allow you to erase / clear any faults in the vehicle memory, as long as they are not “Hard Faults”. With these conditions, the code will remain until the vehicle issue is resolved. Basically, all fault codes have a letter prefix and four numbers which are divided into “Generic” codes common to all vehicles (P0, P2, P3, and U0), and codes which are “Manufacturer Specific” (P1, P3, and U1). There are about 5,000 diagnostic codes, so having these quick references is very helpful. The folks at OBD-Codes have a great site for getting information about specific codes. We are focusing on scanners that have an attached cable to plug into the vehicle port. There are some wireless / Bluetooth modules that can also work with your smartphone, and we’ll cover those in another review. Personally, I find the dedicated scanners to be very easy to use, and less likely to get lost / misplaced than the small wireless dongles. They also tend to be less expensive, and have all the features you’ll need. The JDiag OBD2 Scanner Car Engine Code Reader OBD Diagnostic Tool regularly sells for $35 to $50, but this has been an Amazon special deal for sometime bringing the price below $25. We like the size (4.9 x 2.9 x 0.9 inches), which makes it easy to store away in the tool box when not in use. The cable is a good length, so you can easily read the 2.4-inch display while sitting in the vehicle. Some scanners have ridiculously short cables which barely reach out of the foot well. It’s made of high impact plastic, so even after a number of drops onto the concrete this scanner was still in one piece and working. And the buttons are easy to use, which is a plus especially if you are wearing gloves. The scanner does all the usual functions – determines the cause of the Malfunction Indicator Light (MIL), turns off MIL, clears codes and resets monitors, SMOG/emission monitor readiness test and detect the vehicle battery condition. The scanner retrieves both generic (P0, P2, P3, and U0) and manufacturer specific (P1, P3, and U1) codes. We like that in addition to live data stream, the scanner also retrieves vehicle information (VIN, CIN and CVN). The JD-101 works on most year-1996+ US-Based OBDII, year-2000+ EU-Based EOBD and year-2000+ Asian cars. It supports 5 protocols including CAN, K-line etc. You even get your choice of languages – English, Spanish, French, Russian, Germany, Italian, etc. Order the JDiag OBD2 Scanner through Amazon before the prices go back up. The “OxGord” OBD2 Scanner CAN OBDII Code Reader is another under $25 device that we can highly recommend, especially if the JD-101 is out of stock or the price increased. The OxGord is about the same size (4.25 x 2.75 x 1.00 inches) and weight as the JDiag, and has a similarly length cable (a little over 2 feet). You get all the same types of features, read-outs and code settings. The one major difference is that the OxGord has just 2 buttons, compared with the 4 found on most other units. We found that this sometimes took a few more button presses to move through the screens, but it was also easier to use with just 2 larger buttons. For most vehicles newer than 1996, this OBD2 will work great. And for 2002 and newer vehicles that support mode 9, you can also get the VIN (vehicle identification number). The ANCEL AD310 Classic Enhanced Universal OBD II Scanner (about $35) gets you a better LCD display (128 x 64 pixel) that has white backlight and contrast adjustment. It’s a little larger (8.9 x 6.9 x 1.4 inches), with a longer cable (2.5 feet), which makes for easier handling – especially if you are using it more than just occaionally. We like the 4 buttons are among the largest and easiest to use. The Up and Down button for scrolling the menu, the Enter and Exit button allow for navigation back and entering menu. You get all the same features and controls found on the other units. What really sets this unit apart, and justifies the slightly higher price, is the built-in OBD-II DTC lookup library. This shows the code and what the code means directly, so you don’t need to search online. After the code was found, it’ll show the definition directly by clicking the error code you selected. Easy! The Autel AutoLink AL319 OBD2 Scanner (about $35) had the easiest viewing TFT screen from the units on this list. At 9.25 x 6.3 x 1.77 inches this was one of the largest units we reviewed, and with the longest cable. One nice feature is the “One-click I/M Readiness Key” for quick emissions test, so you don’t have to scroll through alot of screens or check for specific codes. This is a 2-button unit, with the 3rd single function emissions test button. But it also has color coded LEDs and built in speakers, which we found helpful. Like the Ancel, this Autel also has the built-in code library to show you exactly what the faults are. For the price, and as long as you are OK with the 2-button operation, we can highly recommend getting this scanner. It’s an even easier decision if you are in the market for a used car, since the one-button emissions test feature is unique for this price range. If you need more from your diagnostic tools, you may want to consider a “Professional” grade device. In addition to tablet-like screens on some of these, you’ll also battery monitoring, tire pressure monitor (TMPS) data and the ability to print out results. As you go further up in price, you can expect features like Key Fob Programming, ECU coding, ABS bleeding brake, Reset Functions for standard services (e.g, Oil Reset, EPB, SAS, DPF, BMS, ABS, SRS, etc.). You can save a some money having your own personal OBD2 scanner, and you can find out quickly what’s going on with your vehicle when you get a dashboard indicator light.